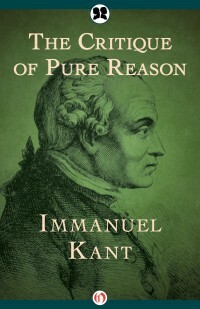 Familiar to philosophy students through the centuries, The Critique of Pure Reason is in many ways Kant’s magnum opus. First published in 1781, it seeks to define what can be known by reason alone without evidence from experience. Kant begins by defining a posteriori knowledge, which is gained through the senses, versus a priori knowledge, or self-evident truths understood without the benefit of experience. He then examines these two types of knowledge in the context of analytic and synthetic judgments, using the relationship between them to conclude that through reason alone, humans are capable of reaching deep universal truths. Kant then demonstrates how—even as much of the world around us can never be truly known—the laws of the universe are in fact made possible by the human capacity for reason itself. Sparking intense and lasting discussion, The Critique of Pure Reason remains essential reading for anyone seeking a deeper understanding of the ideas that, since their initial publication, have gone on to shape much of Western philosophy.